The waves slid over miles of fine sand. 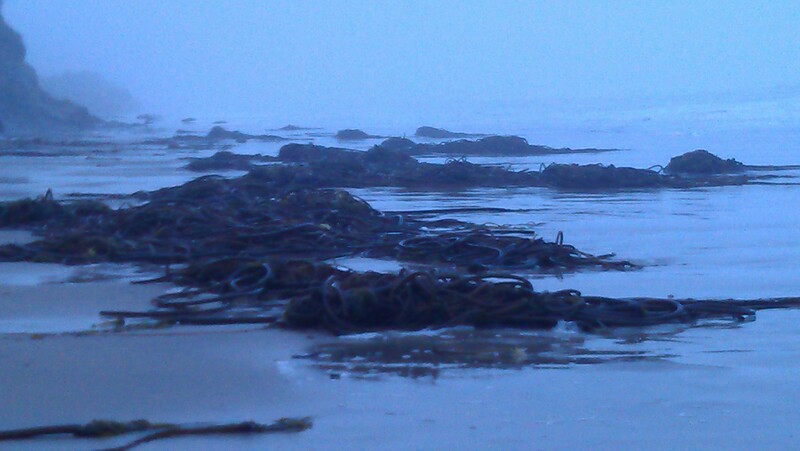 Bull kelp piled itself up in endless varieties of fantastical knots. Multi-colored sandstone formations dotted the vast landscape. Log upon log floated in and out of the surf, damming themselves up along the creeks that persistently emptied into the great ocean. The boys and I walked along that beach, doing what boys do, throwing seaweed and rocks, breaking off chunks of sandstone, talking about goofy things, picking up some trash, trying to cross log bridges, but often falling in the water. 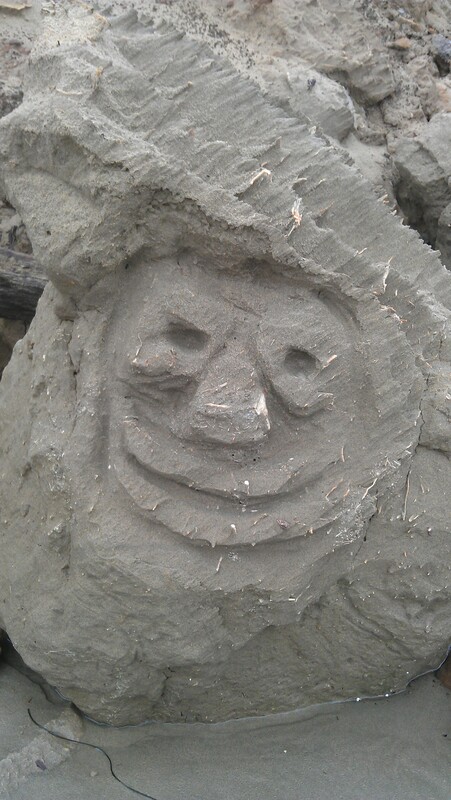 We even encountered a smiling troll that someone had carved in the sandstone. It made us laugh. Beaches are like that. We don’t really control them in the same way we can control the land. Plows don’t run over the beach to plant crops. Houses built on sand wash away. Road construction is pointless. Beaches are what they are because they’re immense and uncontrollable. A walk on the beach is to accept things as they are, to see the eternal change that surrounds us, to recognize our smallness in the vast sea of time. And yet, small though we may be, there are things which we can do which are great and eternal. To build a bridge over some rough water, to pick up some trash, or even to carve a smiling troll, is to affect something very big – the lives of the people who walk along the beach with us. To the world, we may be very small. But to each other, we are very large. 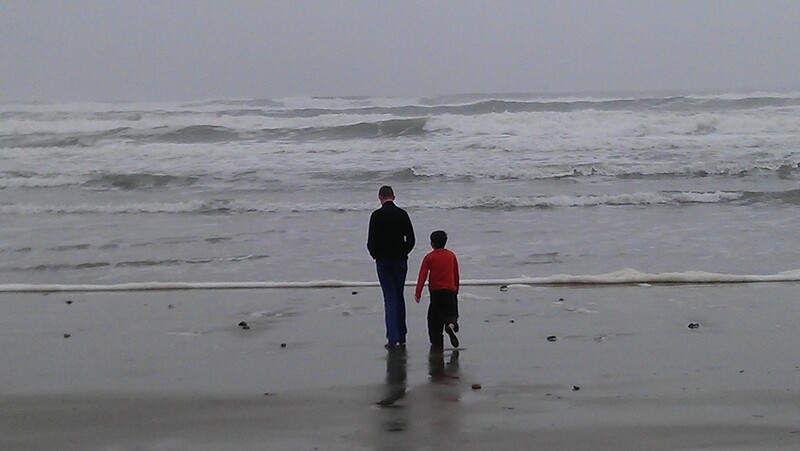 My son Zachary and his friend Lance. Yesterday’s small gifts of time … shopped on Small Business Saturday … a walk on the beach … picked up trash … invited our son’s friend over for the night … Small things. Large result. 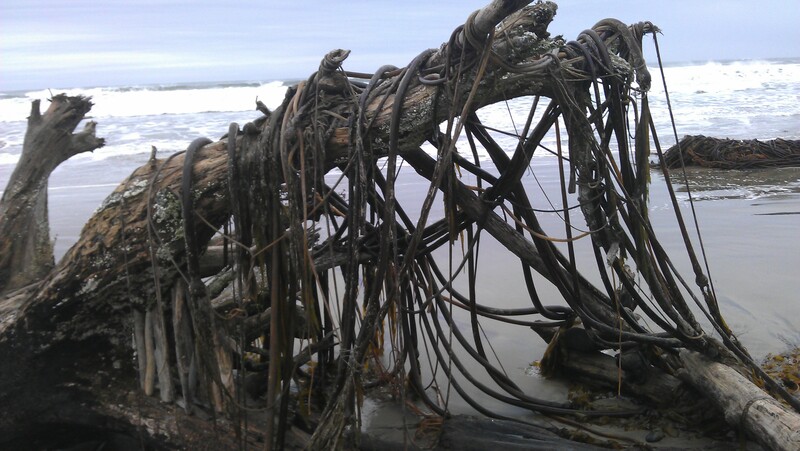 This entry was posted in In the world and tagged beach, bull kelp, compassion, eternal, Giving Our Time, giving time, helping others, kelp, Kindness, ocean, Time, waves. Bookmark the permalink.